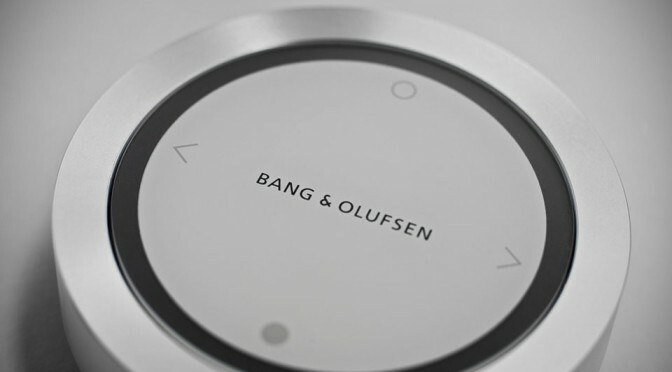 having our music files on different devices is a modern day ‘problem’ which the Bang & Olufsen BeoSound Essence Music Controller wants to get rid of. how so? by letting you access your digital music stash “as easy as turning on the lights”, regardless of whether the music files are on the cloud, on your computer, Network Attached Storage, smartphone or tablet. unlike what the picture depicts, the BeoSound Essence actually consists of two parts: the 6.6 cm (about 2.5 inches) circular music control dial, which connects to a hideaway box (via Bluetooth low energy) that you can keep it hidden in a cabinet or something (but it is pretty enough to be out in open too). 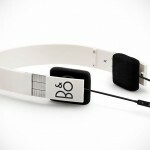 the hideaway box is basically a bridge between your speakers and your wireless devices, and will talk to these devices to enable the whole one-touch experience, while the dial has a rotating aluminum ring for volume control and doubles as track control, as well as play/pause action, and has the typical classy, minimalistic look that B&O has been known for. 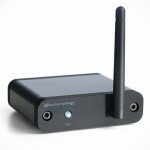 the box is also home to AirPlay and DLNA streaming, and supports Spotify Connect, QPlay and a variety of global Internet radio stations. though control is by the dial, reining control over your music can also be done using the BeoMusic app (for both iOS and Android devices). as for placement, the box is, as mentioned, can be hideaway, and the dial can be affixed to the wall or place on the desk on any flat surface such as the coffee table that’s most convenient to you. 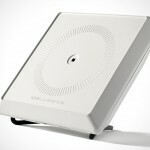 the Bang & Olufsen BeoSound Essence Music Controller is set to be available this April for $995. 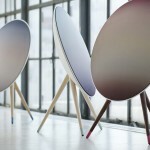 additional wall-mounted or table top BeoSound Essence Remotes will set you back a further 200 bucks.